Kumkum Bhagya 8th Aug 2016 Episode: Pragya recalls her beautiful moments with Abhi, sitting next to him in the hospital. She recalls their memories when they were not married and keep looking at him. Tanu shouts on Nikhil for calling her repeatedly. He was hyper as Purab can expose them anytime and get them arrested. Tanu tells him to calm down and she reveals that Pragya knows about the truth of Abhi’s accident now. They have an argument on the things. Tanu added that Alia is getting concerned about his brother now and she will not spare him. Nikhil puts the blame on him and shouts on Tanu. Tanu advices him to not to do mistake of coming there. Nikhil recalls all the options he has as Abhi will destroy his career in case anything will happen. Purab comes to Dadi and Family and reveals that Abhi may got alright very soon. He went to buy injection and encounters with Alia. Purab slams of being a part of all this plan. He blames her for being the most important part of this murder. Tanu also comes in between. He claims that Bulbul had saved him from her and saved his life. He advices her to stay away from hospital and him. Alia keeps her mouth shut. Pragya sitting beside Abhi, thinks that everything will go alright very soon. She keeps on praising her luck that each and everything will be good and all the happiness will be on their way. She keeps on talking him about family planning, concerts, festivals, past events etc. Pragya comes to Dadi and Sarla and tells them to go home and have some food. 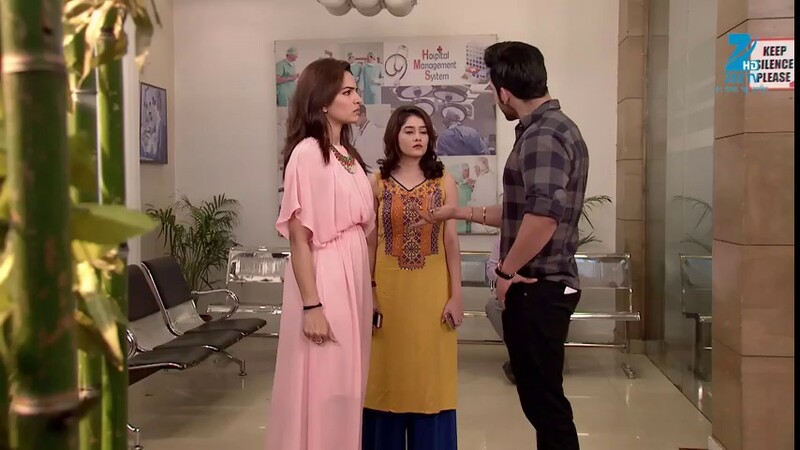 As she was going to get fresh, she encounters with Alia and Tanu. Pragya comes to the god and thanked him for supporting her and saving her husband. Alia tells Tanu that she wants to meet Abhi at any cost and then only they will go from there. Tanu argues that he is going to kill us after seeing them. Alia suggested her to take an injection so that she will go in coma. Kumkum Bhagya Spoiler: Abhi will wake up but with no memory. He will forget Pragya and everyone else.